Are you stuck at a crossroad trying to decide which automated moderation solution provider to go with? With all these parameters to consider, it’s not easy to decide which automated moderation solution provider that suits your marketplace needs the best. To help you make that decision easier, we’ve developed a checklist with the questions you should ask both yourself and the solution provider to make sure the partnership will work as smoothly as you want it to. 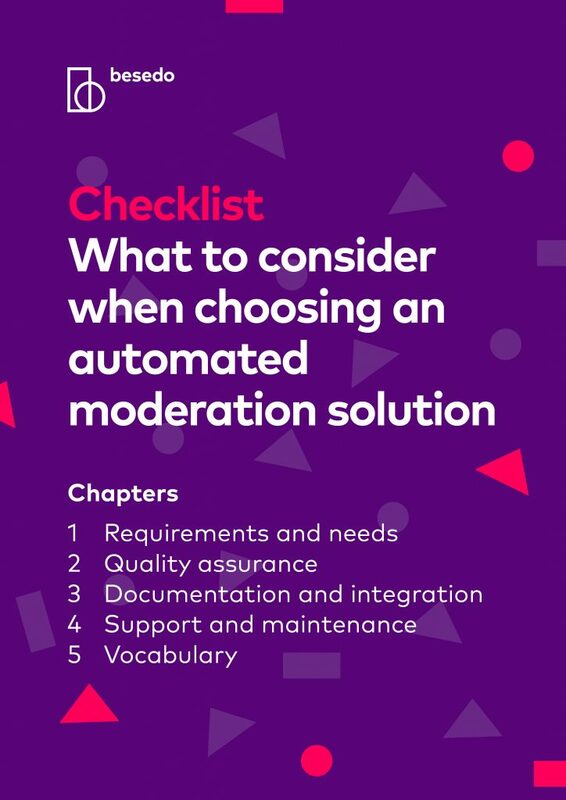 What to consider when choosing an automated moderation solution. Join the crowds who receive exclusive content moderation insights. How automation helped a marketplace conquer diminishing UX and met user expectations. The Kaidee case. Automating moderation decisions? What should your AI models look at to be accurate?